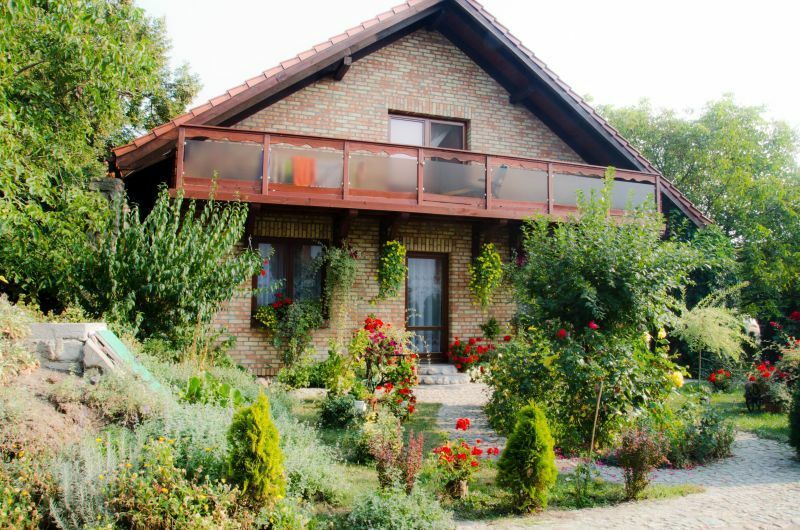 Wichrowe Wzgórze Agrotourism Farm, located about 5 km from the center of Żnin is known for its domestic atmosphere. Narow gauge railway station is placed 200 m from the farm. We offer four rooms with bathrooms and a kitchenettes for our guests. Each room is eqquipped with a TV set. Guests can also use free Wi-Fi. Kids can play in the playground located on the farm. During your stay in „Wichrowe Wzgórze” you can also try local home made products. Zagroda Zacisze – the farm is located in Jadowniki Rycerskie – about 5 km from Żnin. The building has been open for our guests since 2009. It was had been used as an old inn before. We offer 10 comfortable rooms with bathrooms. 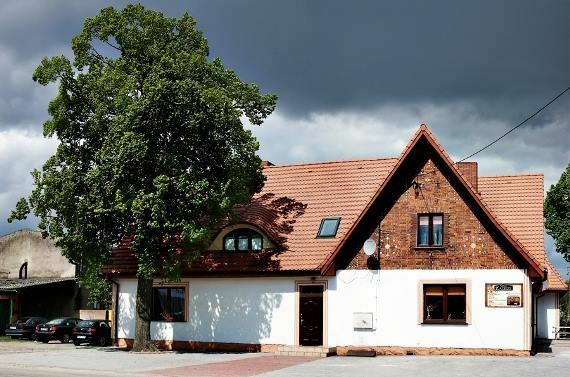 „Zagroda Zacisze” has a restaurant where you can try delicious Old Polish cuisine. „Marcinkowo Górne” is located about 12 km from Żnin. The manor house is a historic building from the first half of the 18th century, located in a picturesque park. 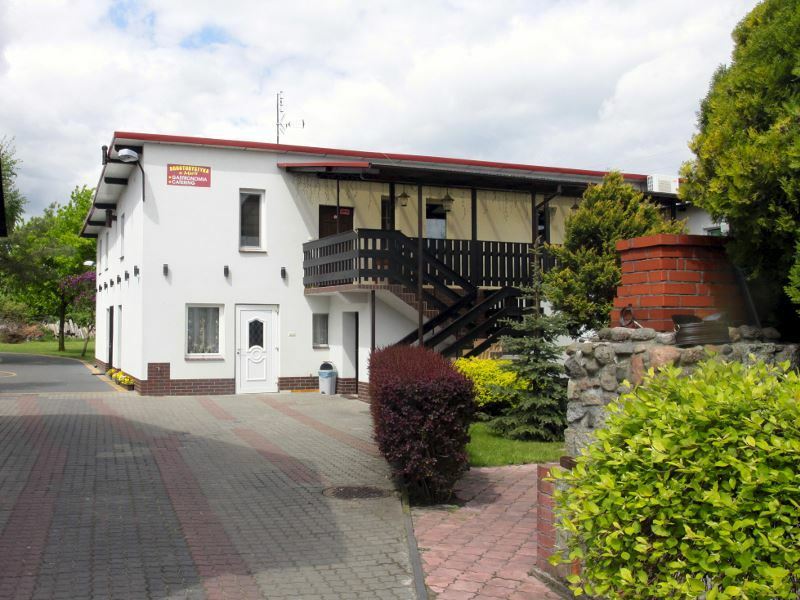 The building was renovated in 2009 and provides high accomodation of a very high standard. There 6 rooms with bathrooms. There is also a restaurant with a great menu and professional staff. 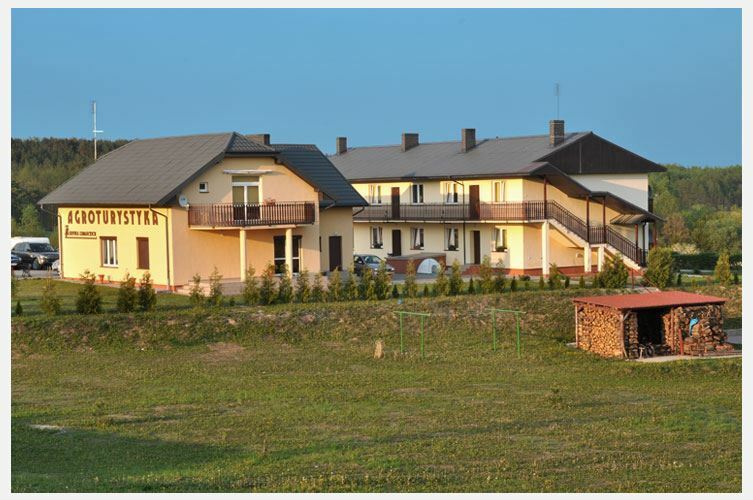 The agrotourism farm is located in Skarbienice – about 5 km from the center of Żnin. The building is placed on a 30 hectare area on the Skarbienickie Lake. The lake is clean, full of fish surrounded by meadows full of flowers, colourful fields, unforgettable sunsets, silence and peace – these are the greatest assets of this place. There are 6 rooms with bathrooms and kitchenettes. Is a leisure and recreation center located in Wenecja on the Peninsula of the Jezioro Weneckie. It is placed 6 km from the Archeological Museum inŻnin, 3 km from the Narrow Gauge Railway Museum and a few meters from the railway station. 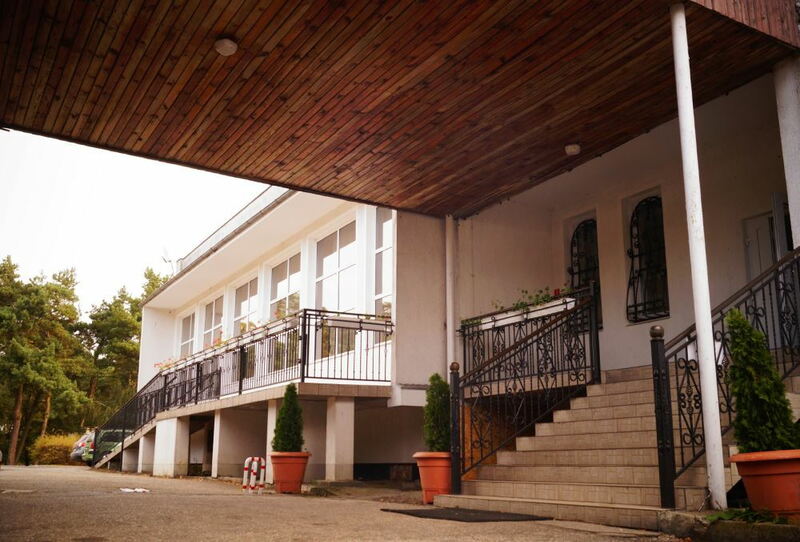 The center can provide accomodation for over 100 guests. We offer mainly studio rooms which consist of: two bedrooms (each with a single bed and a bank bed), a separate toilet, a separate bathroom with a showe and a hall with a wardrobe. Agrobiskupin is an agrotourism farm located in Gąsawa. It is 16 km from Żnin and 5 km from the Narrow Gauge Railway Museum. We offer comfortable rooms with bathrooms. Our offer includes rooms for 3-4 people and two bigger ones for 9-10 people. Peace, hospitality and good food – these are things waiting for all our guests. „Dom Muzealnika” is located on the area of the Archeological Museum in Biskupin. There are 14 rooms with bathrooms. The building is placed about 100 m from the road behind the green belt and the parking near the museum. This is a new building with rooms equipped with wooden furniture. „Dom Muzealnika” is the only one place with a lift which can be useful for the disabled. It is located about 10 km from Żnin and 3 km from the Archeological Museum in Wenecja. Zatoka Zabłockich is an agrotourism farm located in Chomiążą Księża on the Jezioro Ostrowickie. It is placed over 10 km from Żnin. We offer fully furnished and equipped suites. There is a spacious and sunny living room with a balcony and a view over the lake and a kitchenette in every room. „Brzezina” Agrotourism Farm is located in Chomiąża Księża about 11 km from Żnin. 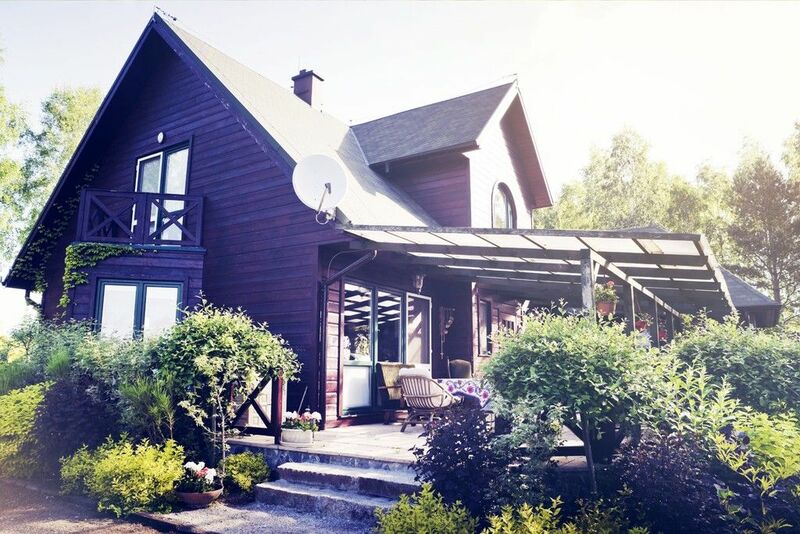 There are three wooden houses including: four bedrooms, a living room with a kitchenette and a bathroom. „Gród Piasta” is located on the Piast Route in the forest on the Jezioro Chomiąskie about 10 km from Żnin. We provide services of a very high quality. The building resembles a Slavic medieval town. We offer delicious food which is also served in inns of a medieval style.